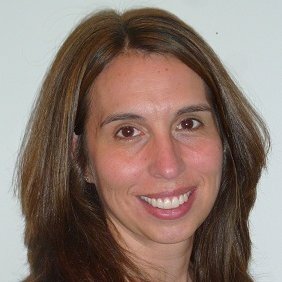 Lise Moloney– Medical device leader with a strong technical background and experience in: market development; content marketing; business case development; market research; team building; combination devices; clinical advisory boards; technical collaboration; pre-clinical studies; and regulatory submissions. Proven track record of successful product launches of Class III combination devices. Director of Business Development, Healthcare (2011 – 2016) Sciessent, Wakefield, MA – Develop the strategy and execution for marketing the Agion antimicrobial to the healthcare industry o Develop content for marketing the Agion technology within the healthcare market. Present the technology at leading clinical and medical device conferences. Author publications for major trade journals. Partner with major healthcare companies to implement antimicrobial solutions for their business. Led successful implementation of an ISO 13485 compliant quality management system. Senior Research Engineer (2003 – 2006 )Covidien (formerly Tyco Healthcare), Patient Care & Safety Products, Mansfield, MA – Concurrently launched two Class III combination devices with the most aggressive product claims on the market resulting in 270% of two year targeted revenue and significant gains in market share. Teamed with Marketing to develop business cases and global launch strategy. Partnered with Clinical Investigators for post-market clinical studies. Designed Clinical Preference Evaluation studies. Developed and conducted all sales training for product launches. Drafted business plans and project proformas, responsible for project budgets. Led cross-functional teams through product development process. Led project teams through FDA design control process; FDA audit resulted in no findings and positive remarks from auditor on design control activities. Managed the global product registration process with Regulatory Affairs. Worked closely with IP attorneys to generate invention disclosures and evaluate patents. Interfaced with Manufacturing to transfer designs. Collaborated with industry, academia and clinicians to identify novel technologies. Managed and mentored junior-level research engineer. Initiated three company-wide antimicrobial summits to exchange ideas and promote collaboration. Start-up team member, contributed to the growth of the company from 5 to 75 employees. Led multiple projects to incorporate antimicrobials into customer’s design and manufacturing in the medical, consumer and industrial markets. Supervised a team of development engineers. Developed in vitro microbiology and analytical test methods. Conducted environmental audits for Massachusetts Highway Division. Designed environmental training materials and presentations. Specifying silver antimicrobials for medical devices. Lise Moloney, Compounding World, Feb 2012. Evaluation of a Controlled Release Silver-Polymer System for Biofilm Reduction on Hemodialysis Catheters; Lise Heroux, et al. Poster presentation at the American Society of Nephrology, Nov 2006.